The bathroom is a special place in the house. Its personal, even intimate concept deserves a special approach to its interior design. 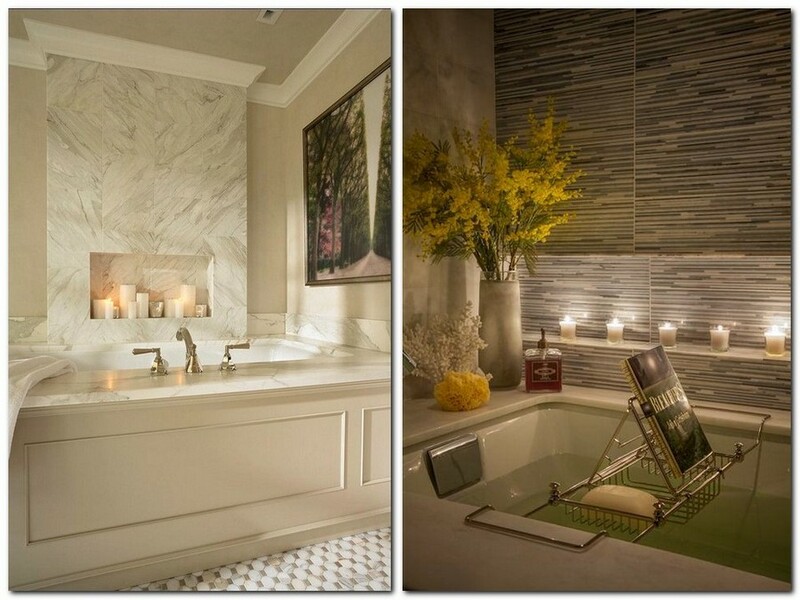 To be able to relax in this room, we need something more than just a hot bath, something more than just physical warmth – the sense of comfort and warmth must be emotional as well. And we on HomeKlondike know that the emotional image of the room is created by means of décor. 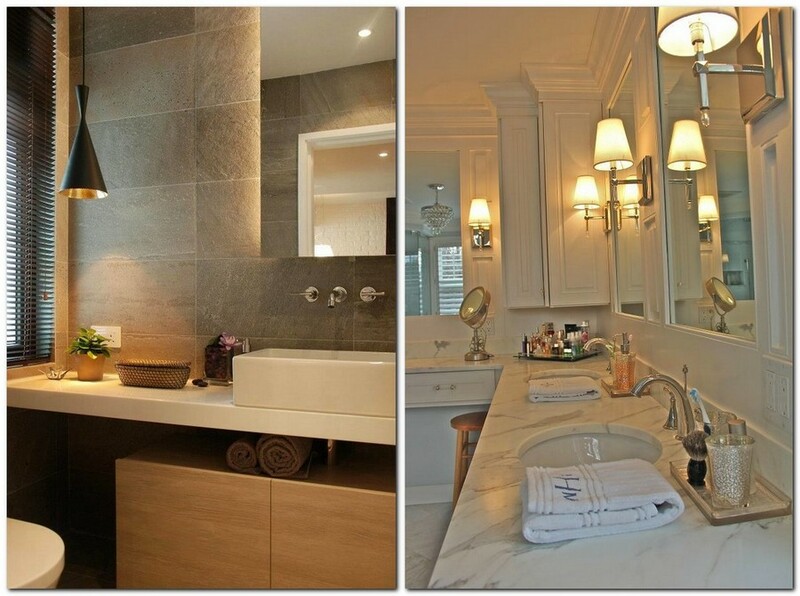 That is why we decided to show our readers seven designer tricks that can make the bathroom feel warmer and cozier without any refurbishment. 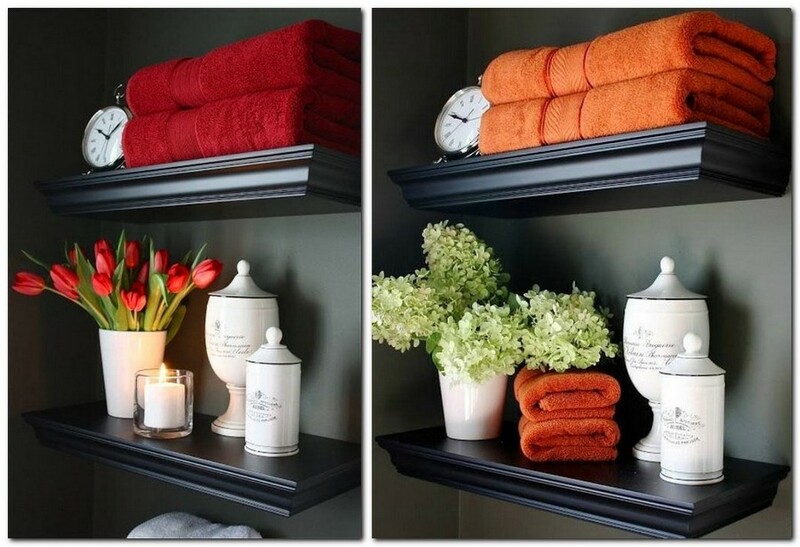 The first and easiest way to add some warmth to the bathroom interior is to hang or display on the shelves a few fluffy terry towels, which look warm and soft per se. As a rule such effect is produced by namely terrycloth, but if you prefer more elegant synthetic alternatives, for instance, microfiber, they would be good as well (just set your choice upon fabrics with longer loops). As for the color palette, it’s recommendable to replace or complement customary white towels with the ones of warmer shades: red, orange or yellow – they will visually “heat up” the room. We’re sure you’d agree that after having a super-relaxing hot bath, you’d rather prefer to step on a warm, fluffy, deep-pile rug than on cool slippery floor tiles or a rubber mat. You may opt for a more practical and wear-resistant acrylic version or a cozy and eco-friendly cotton model. Whatever you choose, your wet feet would feel warmer and comfier. Also, picking a rug for the bathroom, you should keep safety issues in mind. Even if the product is made from natural materials, its bottom layer should include some rubber or silicone that will make it anti-slip. Still on the subject of bathroom textile, we would like you to consider having nice woven shower curtains instead of traditional polyethylene ones. They have actually become the cure for people with a good taste, who cannot abandon a hot bath in favor of a shower cabin. No one can escape drops and puddles of water on the floor, and hanging polyethylene curtains seems like an interior fiasco. 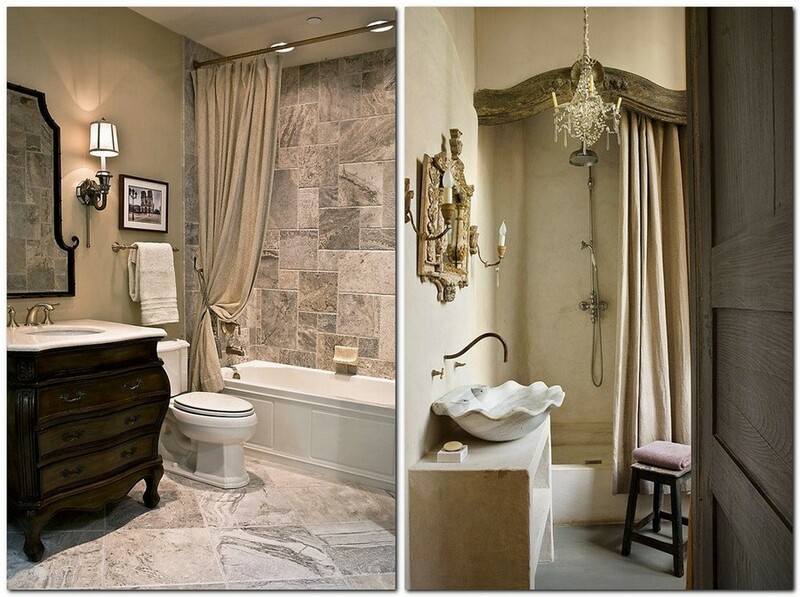 Fabric curtains look cozier and more aesthetically pleasing and are no longer inferior to synthetic materials in terms of practicality: contemporary bathroom fabrics have a special waterproof and water-resistant coating. 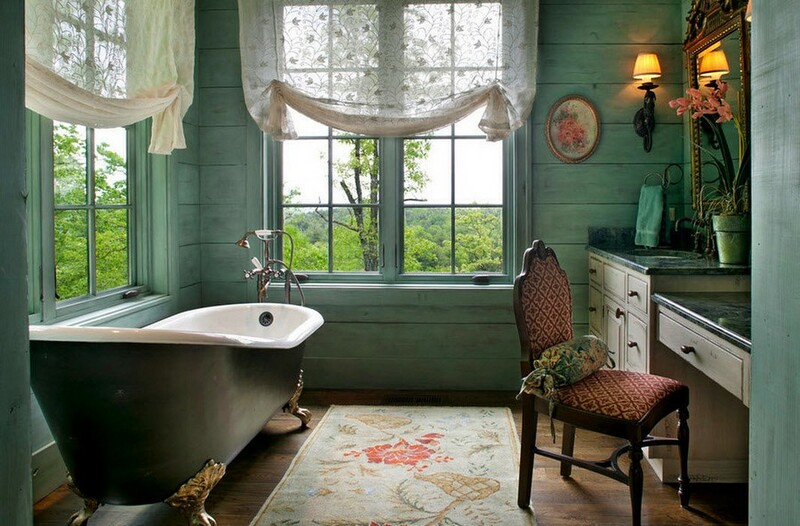 Summer scents are one more tool in creating warm interior associations. However, contemporary spray air fresheners are not the best option for bathrooms; scented candles and diffusers are far more welcome here. 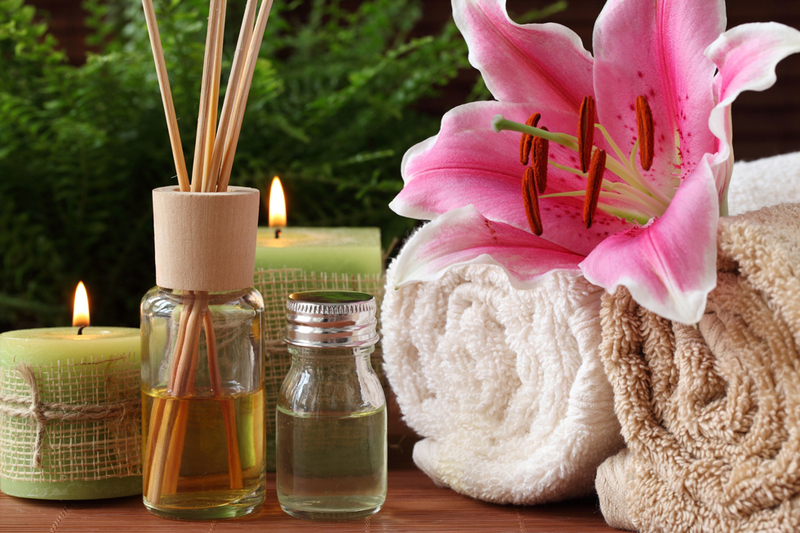 You may find out more details about home aromatherapy accessories in our big previous post on this topic. Candles are not just a home aromatherapy tool; they are also a must-have of romantic atmosphere. If you can find a suitable place for putting them on the shelves or on the bathtub edges, they will delicately complement an already-lit interior, or wonderfully change the mood when the lights are turned off. Considering special humidity conditions of the bathroom, it would be a good idea to put candles into glasses to protect the wicks from water. 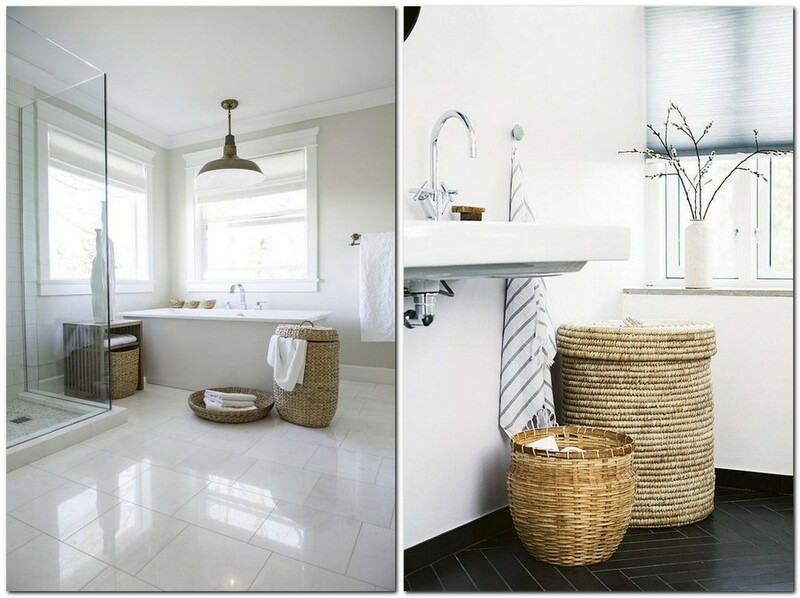 Making a laundry basket a part of your bathroom interior, you hit two birds with one stone: firstly, a stylish wicker basket is a great piece of décor, and secondly, you keep your room neat and tidy. 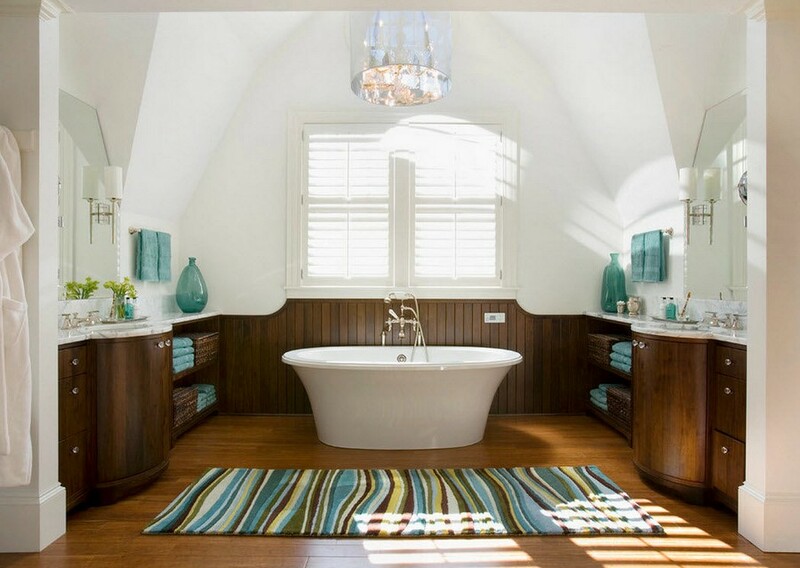 If after all the previous steps towards a cozy bathroom your interior still doesn’t seem warm and homey enough, try to change the light bulb. Replace it with a bulb that would be less bright and have a warmer color temperature. After this simple alteration not just your interior, but even your reflection in the mirror would look different. Remember that warm light hides all the imperfections that cold light reveals.